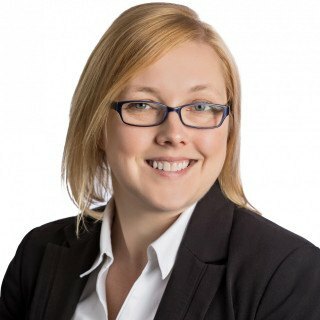 Sarah T. McCain is a senior associate at Plog & Stein P.C. who has devoted most of her legal career to the practice of family law. As a compassionate Denver divorce attorney, she believes that cementing a solid attorney-client relationship is essential in order to obtain the judgments and orders her clients need to move on with their lives. She derives great satisfaction from being able to help her clients transition into the next chapter or their lives after divorce with the tools and resources they need to be better prepared. She has handled family law matters of varying complexity, including those involving restraining orders, post-decree modifications, child support, child custody, and parenting time. A native Michigander, she obtained her law degree from the Michigan State University School of Law in 2006, where she also completed her undergraduate studies in merchandise management in 2003. She is licensed to practice in Colorado and Michigan. In her free time, Attorney McCain enjoys spending time with her family and two dogs, as well as watching Big Ten basketball and football. For the high-caliber representation you need in Denver, please call our firm at (303) 781-0322. Attorney McCain would be delighted to take a careful look at the details of your matter during an initial consultation.